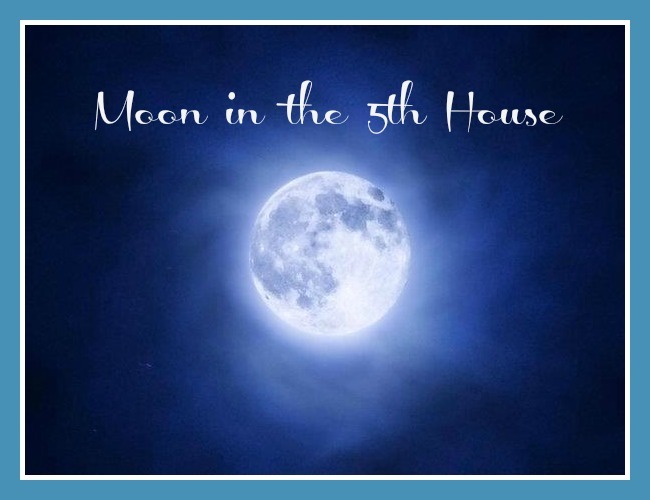 When the Moon transits the 5th house you may want to take a break from your routine. The energy of the 5th house supports a pleasurable time. This is what will satisfy the emotions and help you to feel happy and secure. The moody Moon will also seek out bonds with children typically at this time or for some folks the attention will be focused on the hobby or some creative pursuit. 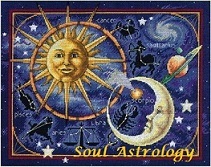 As the Moon visits the Leo/Sun house (the 5th) the emotional nature will be sensitive to feelings of being appreciated. When the Moon moves through your 5th house, it is good to not give the opinions of others too much power. You may find yourself wanting to be spontaneous–go for it! Taking a vacation from everyday life–I’ll say it again. Break routines! That will make you happy during these few days of the month. The less you do out of your routine, the more you achieve! PERSONAL NOTE: The 5th house is the house of “children” and this week I’ve been in touch with my daughters more than usual due to (what I call) ‘cat duty’; caring for their feline family members while they are away. One of the cats is sick and requires some extra attention. In any event, I’ve been on the phone with them more than normal, since the Moon has moved through my 5th house. I also am taking a break from my normal routine in another way; shopping in different stores, and spending time in places that I don’t normal spend time. All of this is in harmony with my 5th house Moon right now. I spent some time on a creative pursuit this morning that was also not typical behavior for me. I can really “feel” that whole 5th house lunar connection right now.